Max Template Gallery Blogger Template is a gallery style theme, specially designed for those bloggers who have interest to publish elegant design templates. 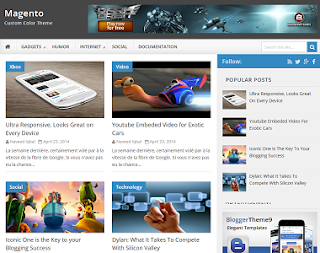 Its a custom color completely SEO optimized blogger template embedded with many exciting and user-friendly features. Two colors on blog's name will set automatically. You'll have to use a space on blogs name to activate the color feature. It's a great feeling to announce that all bloggers, who are promoting other designer's templates can grab this theme for free.